Recreational runners are less likely to experience knee and hip osteoarthritis compared to sedentary people and competitive runners, according to a study published in the June i2017 ssue of the Journal of Orthopaedic & Sports Physical Therapy® (JOSPT®). 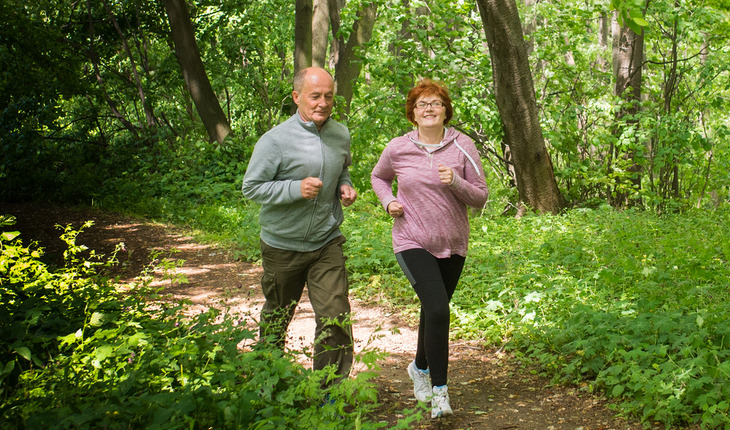 A release from the publishers notes that the study concludes that running at a recreational level for up to 15 years–and possibly more–may be safely recommended as a general health exercise. Further, the evidence suggests recreational running may have benefits for hip and knee joint health. An international team of researchers in Spain, Sweden, the United States, and Canada aimed to evaluate the association of hip and knee osteoarthritis with running and to explore the influence of running intensity and years of exposure on that association. They found in their systematic review of several studies investigating the relationship between running and arthritis of these weight-bearing joints that only 3.5% of recreational runners developed hip or knee arthritis. This was true for both male and female runners. Their findings further indicate that remaining sedentary and forgoing running for exercise was associated with a rate of knee and hip arthritis of 10.2%, while training and running competitively increases the incidence of arthritis in these joints to 13.3%. The study’s authors note that other researchers who have also found a link between high-volume and high-intensity runners and knee and hip arthritis define exercise at this level as running more than 57 miles (92 km) per week. Dr. Alentorn-Geli and his fellow researchers used PubMed, Embase, and Cochrane Library databases to identify studies investigating the occurrence of osteoarthritis of the hip and/or knee among runners. They reviewed 25 studies that included 125,810 people, and ultimately selected 17 studies involving a total of 114,829 people. The study’s authors then conducted a meta-analysis of studies, comparing this occurrence between runners and sedentary individuals who did not run. Runners were considered “competitive” if they were identified themselves as professional/elite athletes or participated in international competitions. Recreational runners were those individuals who ran in a nonprofessional, or amateur, context. The researchers calculated the prevalence rate and odds ratio (with 95% confidence interval [CI]) for osteoarthritis between runners at both competitive and recreational levels and sedentary individuals. They also performed subgroup analyses for arthritis location (hip or knee), gender, and years of exposure to running (less or more than 15 years). Dr. Alentorn-Geli and his colleagues were not able to determine the amount of running that is safe for these joints. The study’s authors also caution that they did not assess the impact of obesity, occupational workload, or prior injury on the future risk of hip and knee arthritis in runners.